St. Patick’s Day is right around the corner. 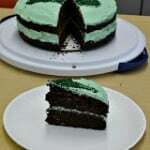 While I’m not Irish I do celebrate St. Patrick’s Day. As an elementary school teacher I celebrate many holidays I wouldn’t otherwise celebrate but the kids really enjoy the days. In honor of St. Patrick’s Day I have several pairs of socks, a t-shirt, 2 shamrock necklaces, and even a shamrock headband. Due to the crazy amount of snow days this year our February and March reward party had to be combined into a Valentine’s Day/St. Patrick’s Day party. That meant I had to find treats for both holidays. 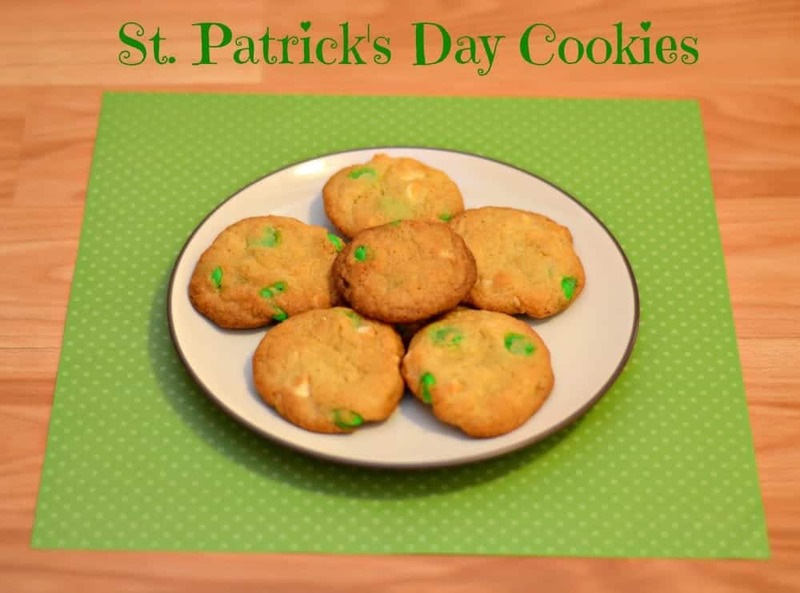 Valentine’s Day was easy because I always makes sweets for it but St. Patrick’s Day was harder. 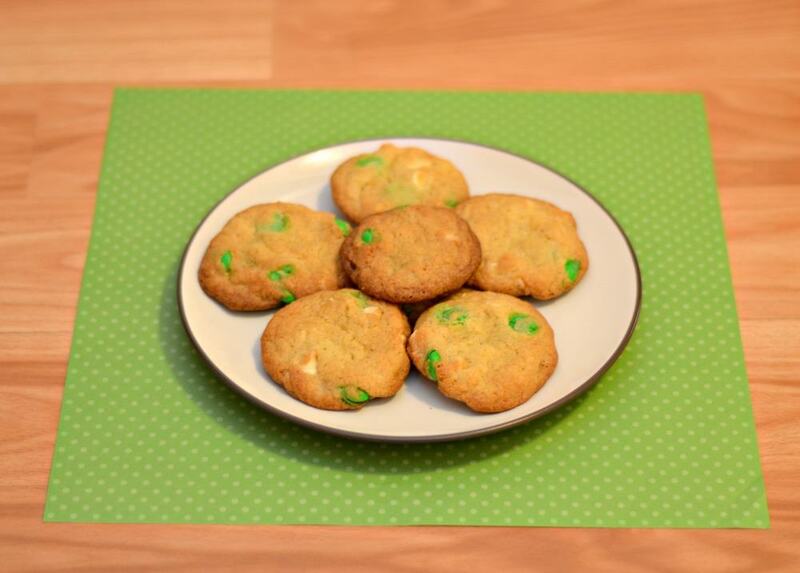 Naturally I went digging in my pantry (which holds WAY too many baking supplies) and I came up with green M & M’s and white chocolate chips. 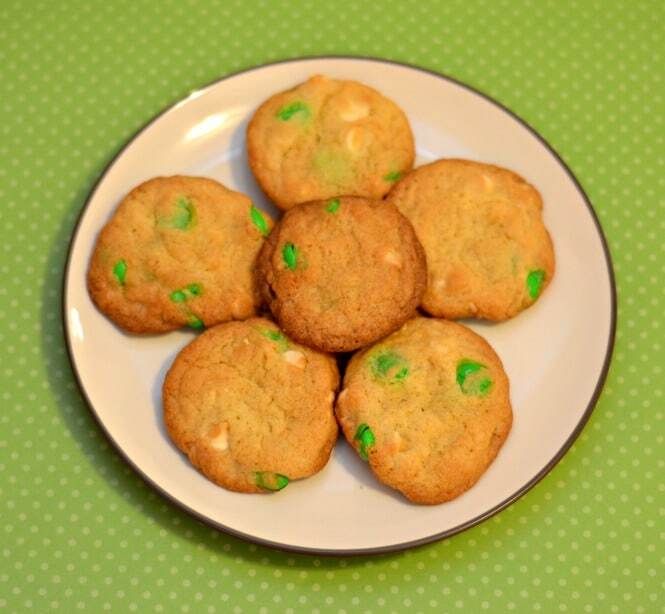 My students are crazy about my cookies and I thought M & M and white chocolate chip cookies would be a winner with them. I used a basic sugar cookie dough and then added in the extras. The kids loved them. 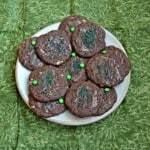 The taste of the chocolate candies and white chocolate chips was perfect and the green and white were great for Valentine’s Day. I even frozen a dozen of the dough balls so we can have them at home on St. Patrick’s Day. 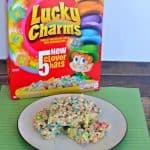 My husband tried one that I was taking in for the kids and is excited to have some for just us. Add the flour mixture to the butter mixture and stir until a dough forms. 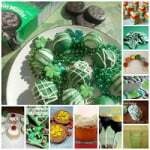 St. Patrick’s Day Dessert Round Up! My husband proposed to me 25 years ago this St. Patrick’s Day. We are not Irish — though he has the red hair of a leprechaun (or he did before he went gray!). I doubt I’ll get to Ireland to celebrate the milestone, so I think I’ll make these instead! These look yummy. My kids would get a kick out of the green.